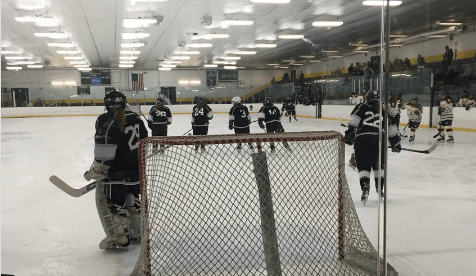 On Monday, Feb. 18, the Blades (Amity, Cheshire, North Haven) girls’ Ice Hockey team hosted the Guilford Indians for the SCC South Quarter Final game in Hamden. 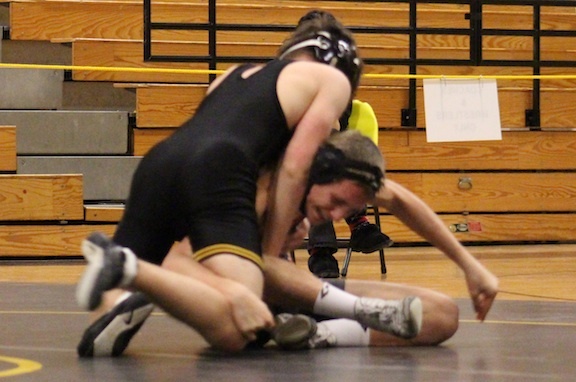 The Blades had a shaky start to the regular season this year, but once they figured things out, they never looked back, and the run for the SCC title is off to a good start. The Blades took this one 5-3. In the first period, the Blades came out strong, taking the lead with goals from Haley Cable, assisted by Andrea DelVecchio and DelVecchio netting one, assisted by Cable and Caroline Cadelina. Then, Guilford’s Madison Epke fought back with a goal for the Indians, assisted by Daniella Vickerman. Cadelina made the only goal in the second period, assisted by Tess Csejka. Returning to the ice for the third period, Epke scored for the Indians again, assisted by Vickerman. Shannon Reilly moved the Blades further ahead with a goal, assisted by DelVecchio. Then, Cadelina scored again. Guilford’s Vickerman made the final goal, assisted by Audrey Rowen and Olivia Gill. The Goaltenders were busy during this game. 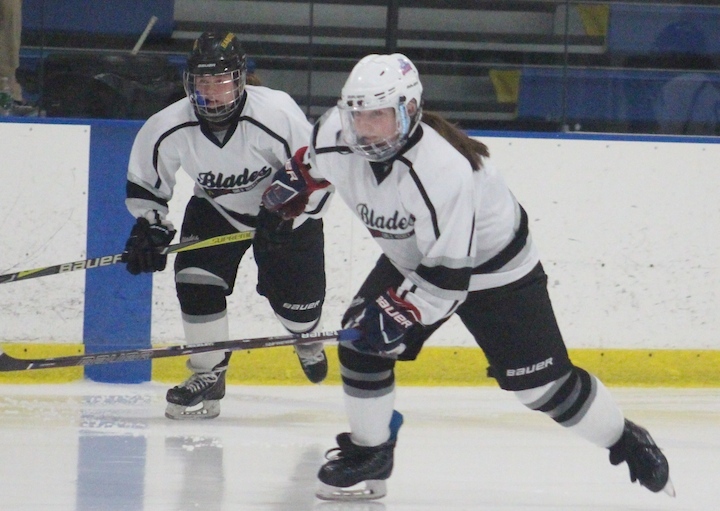 The Blades’ Caitlin Ranciato made 24 saves, and Brielle Kendrioski made 20 saves for Guilford. Blades Advance to the Semi-Final. The Blades (Amity/Cheshire/North Haven) Girls Hockey team had a phenomenal season with only a handful of losses in a very demanding schedule, this talented group of athletes always played to win. They made it all the way to the SCC South Division Semifinal on Wednesday night when they went up against Hamden. The First Period was all Blades, the way we like it, with Cally Dixon scoring off an assist from Megan Spring. 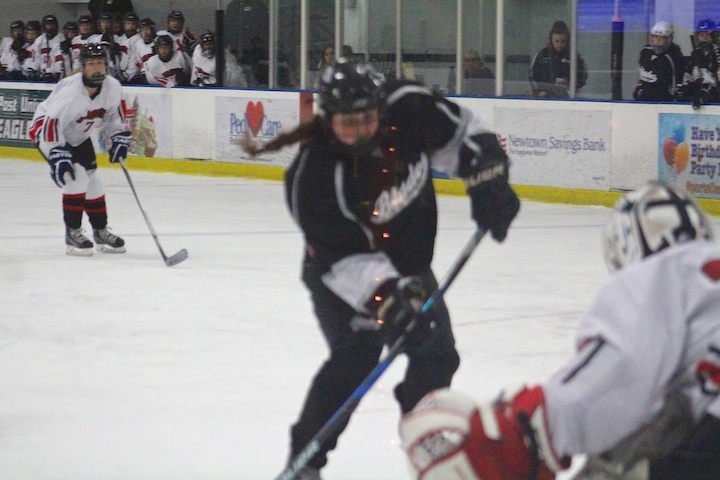 Then Shannon Reilly made an unassisted goal, putting our girls in a nice 2-0 lead for two full periods. Then came the third period when Hamden sought its revenge in the form of Demeri Carangelo. Carangelo made a goal off an assist from Taylor Klesyk, then the tied the game, assisted by Maggie Gould and Megan McKiernab. With that, the game went into overtime, but no one scored, forcing a second overtime. Sadly for our solid, hard-working girls, Hamden’s Maggie Gould made an unassisted goal, securing the win for the Green Dragons and their advancement in the SCC Tournament. Wait! It’s not over yet! The State Tournaments start next week and the Blades will play against Hand on Tuesday, Feb. 27 at 4 p.m. at the Rinks in Shelton. NOTE: We are so proud of you girls for your excellent work this year. Your passion, sportsmanship, and teamwork are top notch. You’ve beaten Hand twice this month 3-2 and 5-3 You CAN do it again! Congratulations to Coach John Peschell on a great season. GO BLADES! 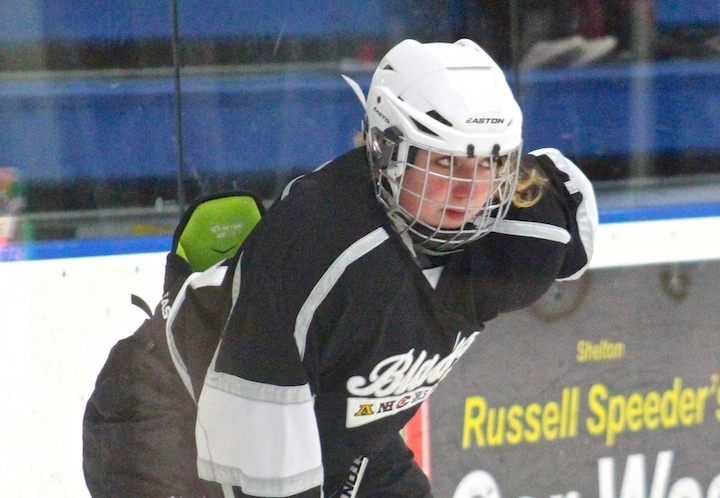 The Blades girls Ice hockey team (Amity/Cheshire/North Haven) hosted the Guilford Indians in Shelton on Thursday, Feb. 8. 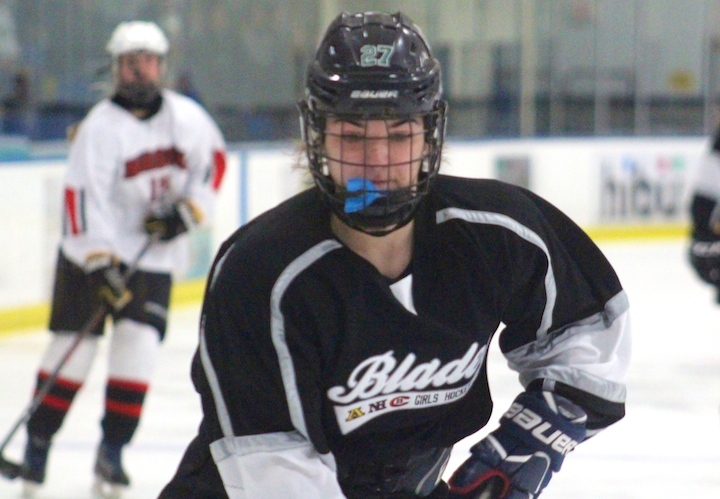 The Blades’ Cally Dixon’s Hat Trick helped the Blades defeat Guilford 7-1. Improving their record to 14-4. Melissa Montesi scored next on assists from Csejka and Meaghan Hogan. Then Nadia DiNatale finished the period with a goal, assisted by Shannon Reilly and Grace Kosh. Dixon scored the first period of this period assisted by Csejka and Megan Spring. Then Dixon scored her third goal — HAT TRICK! — assisted by Reilly. Hogan made an unassisted goal, followed by Csejak on an assist from Dixon, then Grace Kosh rounded things up with an unassisted goal. 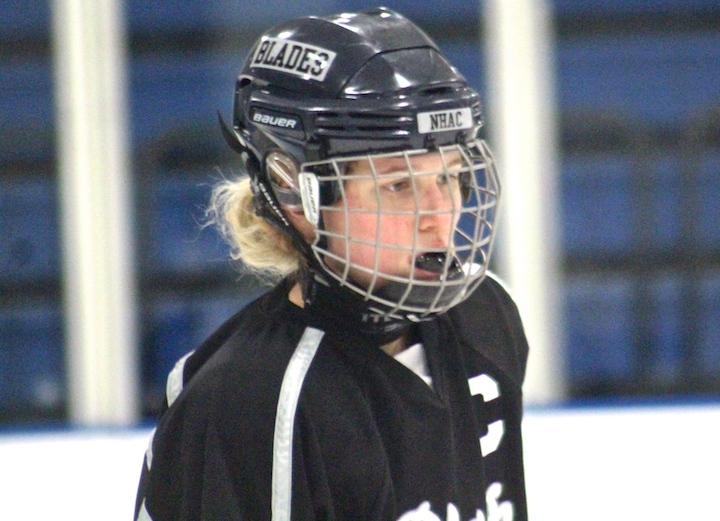 Things were already looking great for the Blades when Olivia Dittmann added one more point to the tally. Then, just to keep the Indians from being shut out, Guilford’s Kate Hagness made her team’s first and only goal unassisted. 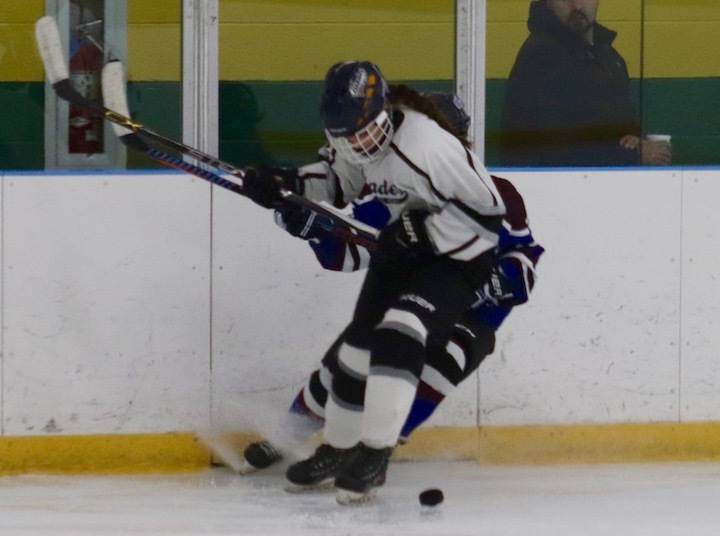 The Amity-Cheshire-North Haven girls’ hockey team the “Blades” are off to a wonderful season start, with a 3-0 record so far. Once again, Boys Hockey is exciting, fast and filled with amazingly skilled athletes, and they get a lot of attention. But the girls team mirrors them, and sometimes even seem better (ask the parents). The Blades’ home ice is the Rinks at Shelton in the Sports Center Complex at 784 River Rd, Shelton. If you have a chance to see them this season, take it! These girls are amazing. Boys Basketball vs Abbott Tech in Woodbridge at 7 p.m. Girls Ice Hockey vs Conard-Hall in Shelton at 8 p.m. Boys Basketball vs Shelton in Woodbridge at 7 p.m. Boys Swimming vs Cheshire in Orange at 7:15 p.m . Girls Basketball vs Lyman Hall in Woodbridge at 7 p.m . Boys Ice Hockey vs Cheshire in West Haven at 8 p.m. Girls Ice Hockey vs Simsbury in Shelton at 7:30 p.m. Girls Basketball vs Cheshire in Woodbridge at 7 p.m. The Amity winter sports season has begun, so mark your calendars for these upcoming varsity competitions. 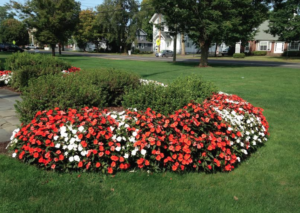 The Boys Ice Hockey team will play an away game against Wilton at the Winter Garden Rink in Ridgefield at 8:30 p.m. The Girls Basketball team will play against Hillhouse at Amity High at 7 p.m. 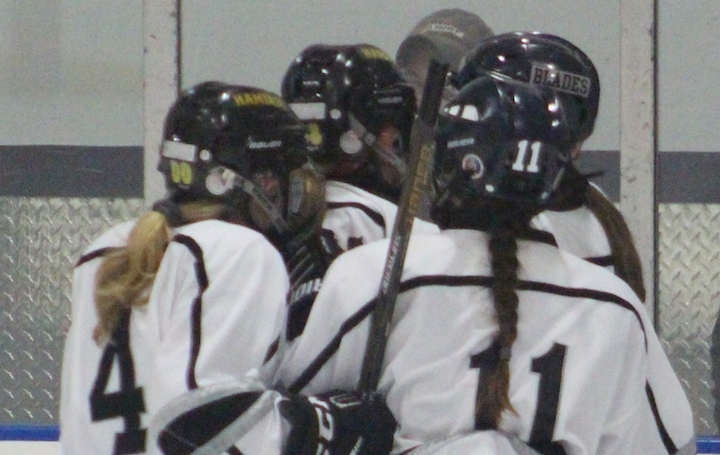 The Girls Ice Hockey team will play Notre Dame of Fairfield at the Milford Ice Pavilion at 6:45 p.m. 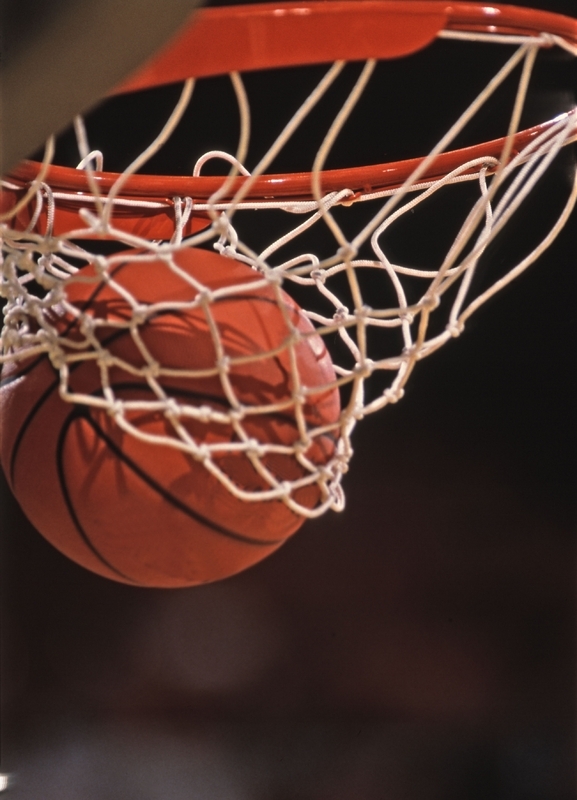 The Boys Basketball team plays Seymour at Seymour High School at 3:30 p.m. 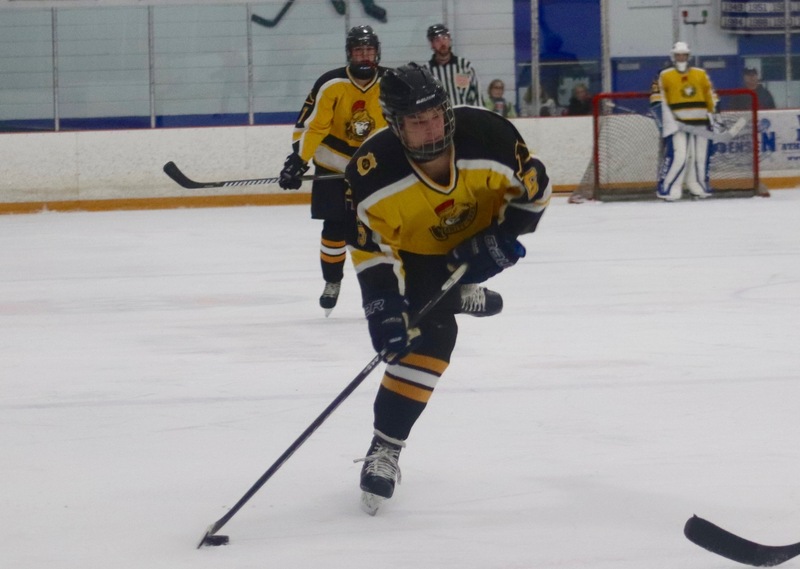 The Boys Ice Hockey team plays Masuk at the Rinks at Shelton at 7:30 p.m. The Boys Basketball team plays Valley Regional at Amity at 4 p.m. The Girls Basketball team will play Mercy at Mercy at 7 p.m.